We service all of New Hampshire (NH) and Massachusetts (MA) with Metallic Epoxy Flooring Services. We have a large selection of Colors, Patterns, and Textures. We have been servicing the New England area with Metallic Epoxy Flooring service for over thirty years. We provide Free Estimates! Give Us a call for your next concrete project! Implementing the metallic coating and attaining the desired end result actually is undoubtedly an artwork. The final texture and approach to application is your decision. Here are some superior points to find out. 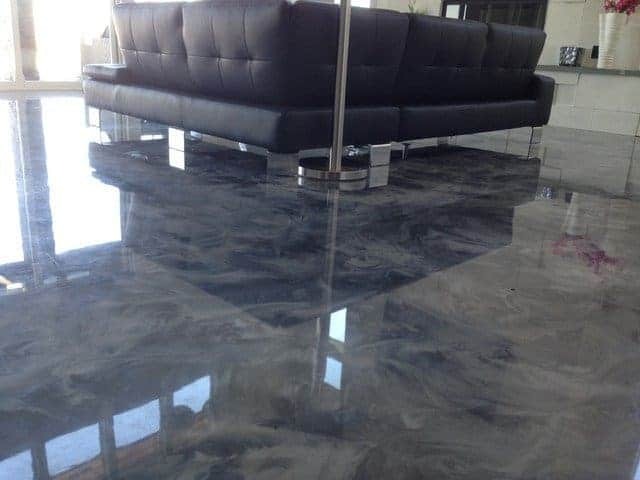 Our Metallic Marble Epoxy flooring Option is little question the most well-liked style and design we put in in basements. With a wide variety of coloration possibilities and extra advantages of epoxy; homeowners favor this coating higher than the remainder of our solutions! For over thirty years, Northeast Decorative Concrete, LLC has delivered impressive remedies to prolong the support life of parking structures, stadiums, garages, basements and all kinds of other concrete services. Description Our premier Designer Metallic Epoxy Coating, with metallic micro-particles suspended in translucent epoxy, has the uncanny capacity to make mirror-like surfaces without the need to grind to obtain a substantial glow. Everybody can opt for their own individual texture of application to achieve for a look on the ground, which is able to be suitable to perform different outcomes for the look you want to obtain. A similar metallic epoxy flooring color effect could be obtained by using the exact shade Metallic basecoat and Pure Metallic installation technique. Our Metallic Epoxy Floor results in a multi-color that brightens and creates a clean beautiful modern look to any Room. Many of our customers will incorporate more colors. Some will do a second coat of primer to smooth out the ground below and assist the resins circulation greater. The possibilities are endless with color options with Metallic Epoxy Flooring.